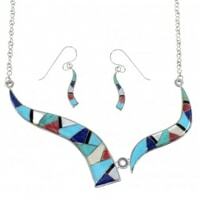 The selection of Native American multicolor necklaces and southwest multicolor necklace designs you see here come in a beautiful range of bright and vibrant colors. There is no shortage of amazing and colorful styles at SilverTribe. 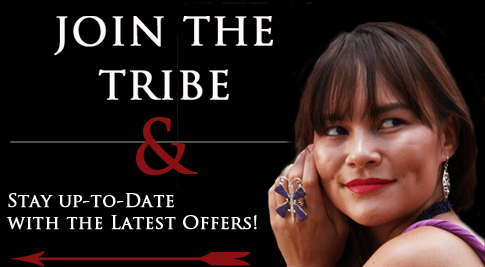 We carry everything from single and multi-strand multicolor necklaces to handmade items that capture the spirit and creativity of Southwestern tribes. Necklaces are the backbone of our jewelry collection, and we carry a leading collection of styles, from traditional to modern designs. 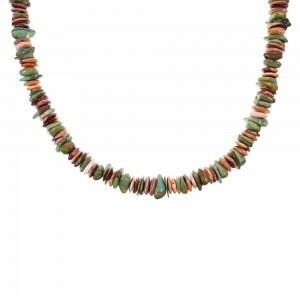 Multicolor necklaces come with a myriad of different stones and shells. 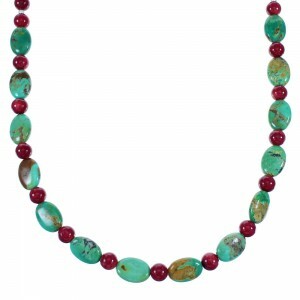 The tribes of the American Southwest have a long and proud tradition of hand stringing magnificent multicolor necklaces with all sorts of different colors, numbers of strands, and of various types and shapes of beads. 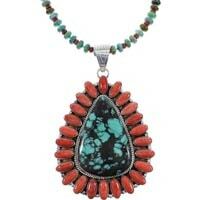 The materials used in our necklaces hold both cultural and spiritual significance with many American Indian tribes. For instance, coral is believed to symbolize lifeblood and is said to restore harmony and aid depression. 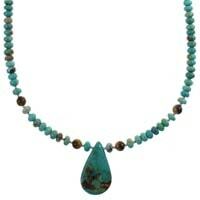 Turquoise is believed to provide wisdom and symbolize friendship and good fortune. 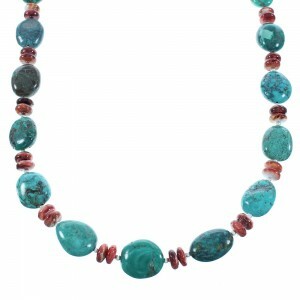 These attributes make our turquoise multicolor necklaces a popular gift idea. 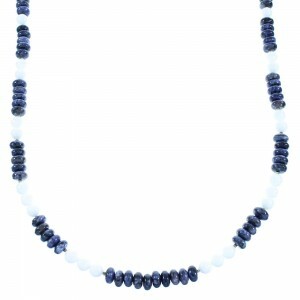 But the spiritual aspects are only a small part of what makes our necklaces so popular. If you're looking for the most vibrant and colorful products on the market today, your search is over. 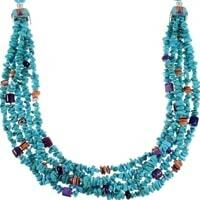 We have a massive collection of stunning items that will look beautiful for years to come. Whether you are looking for an intricately constructed inlay variety or hand-strung beads made with a variety of sought after materials, we can help you find the perfect accessory for your collection. The imagination and creativity of these artists is absolutely amazing. They create jewelry that is unique and can fulfill the desire to make a lasting impression with a stunning piece of fashion made to the highest standards of quality. 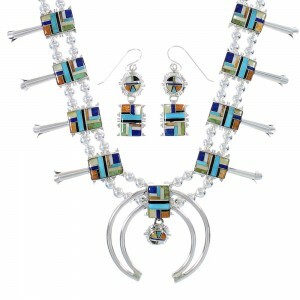 In many ways the necklaces in our Native American necklaces collection are a metaphor for the diversity and beauty of the region. 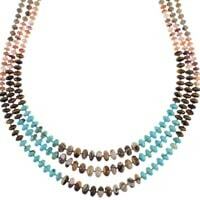 Whether it is a dazzling multicolor necklace or a charming hand strung example, your purchase is assured to be a beautiful addition to your collection that you will cherish for a very long time. Our collection is perfect for anybody of any style or budget. 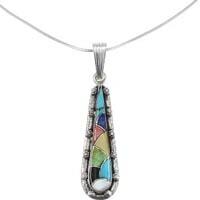 We have a leading selection that highlights the artistry and skill of those who design and produce our products. At SilverTribe, we make sure every item we carry is of the utmost value and quality. You won't find a collection like ours anywhere else on the web. Our customers depend on us to provide the widest variety of styles. With SilverTribe, you are sure to find the perfect item that matched your style and price range. Come see why we have a flawless reputation for providing top-quality authentic Southwest jewelry at the best prices around. We have the most loyal following of satisfied customers thanks to our exacting standards of excellence. 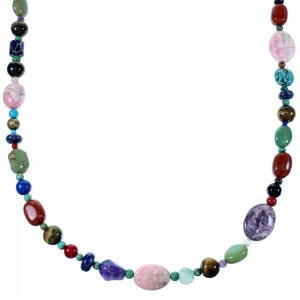 Make a stunning and unique fashion statement with a multicolor necklace from our growing inventory. 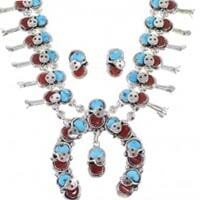 We want to make sure you are completely satisfied with your next piece of American Indian jewelry.